(This post was modified on March 11th to accomodate links to other post in the series). In the world of Human Resources there are few words to which I have become really allergic. One of them is for sure talent. Why? For a very simple reason: it is usually used as a shortcut, to justify or cover facts that are not always fully understood. This way Talent has been constantly used instead of more “proper” words. What is the real meaning of Talent Management? Sometime it identifies a set of skills that certain specific have… so why not simply call them competencies? In other cases it is used to identify group of employees that are “gifted” with the prospective of achieving great results in their work. It is therefore a way to refer to People, and btw wasn’t this why they were once defined High Potentials? Sometime the word is used to identify a group of people that share, instead, a common set of competencies, and that are organized into pools to enable succession within the organisation. Yet again I don’t see the point to use another name to point towards a common HR process of succession management. These are just some examples of what I really consider an abuse of this word. But why are people using this word so much? Of course, a big part of this has to be done to the fact that the word has become “fashionable”. So many books have been written about the Talent Battle, the Talent Shortage, the Talent Dilemma and so on, that it is just human for an average HR practitioner to repeat this word at least 3, 4 times a day. However, this is not the point. What’s the difference between Talent Management and HR Management? What scares me the most is when people start shaping this word into the form of Talent Management, and stating that “we need to develop a Talent Management strategy“. What this implies can be derived from a very easy fact. If the word “Talent” has just been used as an alternative label for people, competencies or HR processes, can’t we just state that we are, effectively, talking about People Management? Sure we can… but here lies the issue. An HR Director cannot stand in front of the board and state “We don’t have a People Management Strategy“, the same way a CFO cannot state “we can’t do accounting“. Yet the meaning is exactly the same. 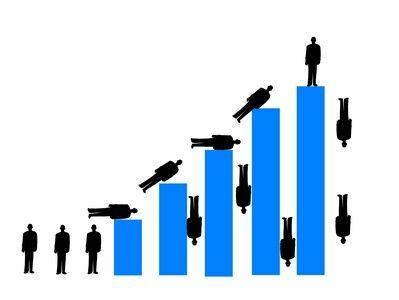 In many ways, many HR executives are realizing that the HR function for too much time has renounced to deliver its promise to sustain the results of the organisation. And are now seeing all this as a Talent Management issue. 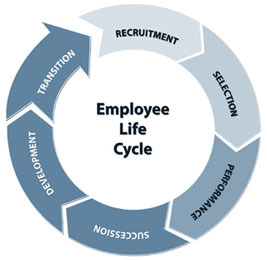 From this point of view, we could well say that this wording has had the positive effect of driving the attention to a key fact: the HR organisation had given up its main role of managing people, accompanying them through their lifecycle within the organisation from hiring to retire (or leave), nurturing them, making them grow and develop. Do I sound too romantic? Well sorry, but it’s easy as doing a small analysis of all the “graphs” about Talent Management and the way an Employee Lifecycle was depicted (as of the 20’s of the last century). It just becomes a “spot the difference” exercise, with not a lot of differences in reality! So what is the real issue? Why has it become of so much importance again? With all the efforts of creating a “lean” organisation, improving processes, automating activities, outsourcing etc., the HR organisation has undergone a significant stress over the last decades. Some radical HR Transformation processes have pushed the level ro far in the hands of managers, that certain organisations have posed themselves the question, if an HR organisation was at all needed. The economic and financial crisis that have hit the business world already starting with the mid of the 90s, have however triggered a different scenario. Instead of less HR organisations have faced the necessity of having more HR. But what they had left was often a bunch of specialized silos in their organisation, not visible enough to attract the right people, not staffed enough to have a continuous dialogue with managers and employees, not skilled enough to really follow an employee in all its steps of working life. In many organisations newly elected HR Business Partners have been focusing on gaining more and more business insights, just to discover that today they are missing important (basic) HR skills. Trying to establish its new role in between a “compliance” actor or a true “business partner” HR has simply forgotten their main area of concern: People. Moving towards People Management: 4 key business needs. So it should not come unexpected that some of the most successful organisations in today’s business have, not only have not abdicated to their pivotal role, but they underline this with a much les “fashionable”, much more sound wording. Think about Google, and the fact that calls its HR “People Operations“. Develop people internally, giving them the right skills to occupy positions of responsibility as faster as possible. Make sure that people can work in a way that optimizes not only “hard” productivity, but also creativity and innovation. Did I miss something? Feel free to add suggestions in the comments. However they are expressed, most of the feedback you hear about HR by other managers, is about not being able to meet expectations in one of the 4 areas above. So what to do? There is not one easy answer, and what I would like to do is analyse each piece separately, in a series of article that will follow this one. But before adding this level of analysis, I want to make sure one concept is shared with all of you. In my view the role of “people operations” in an organisation is similar to that of the basic plumbing in a building. What you want to do is that water flows in in the right quantity, and flows out once it has been used. All areas of the building should be reached with the same level of pressure. And you should avoid any leaks. I know, many of my colleagues working in HR will feel almost offended by a parallelism with something that has so much to do with engineering. But that’s not the point. The key issue is that the HR organisation needs to act essentially as the network of pipes that allow the flow of water. That’s why an answer to any of the points that I have mentioned above, cannot be taken without considering holistically also the other three points. Leading a modern People Management function is essentially, in my opinion, discovering and eliminating 30 years of alibi and quick justifications. And taking ownership of one of the key functions for tomorrow’s corporate survival. I fully agree with your line of thinking so far and I look forward to the rest! Meanwhile; what about getting rid of the word ‘Human Resource’? I agree. The idea of thinking of people as resources was not a bad one… But today most of that idea got lost anyway. Previous PostAre you ready for Generation Z?